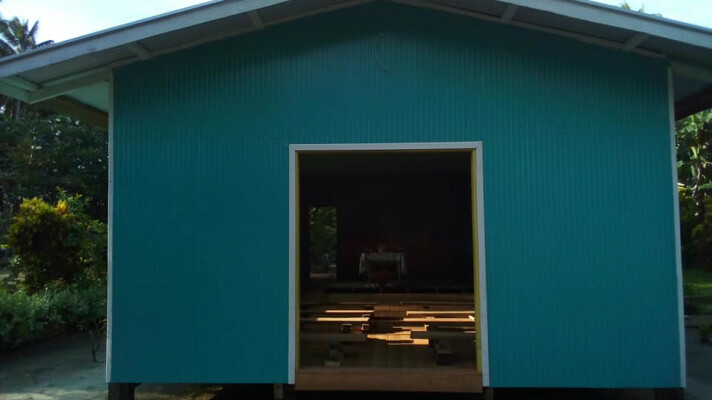 After a year of determination, commitment and lots of prayer, Minister Paulus and his small community of believers in remote Gasmata have come close to completing the church building and church pastor house. When he first moved there for work in beginning of 2017, the church and house pastor was at a very appalling state. With the little resources he had, with the help of non-adventist community, timber and other materials with the assistance of the Local Mission and friends, the house and church building have received a great facelift. It is now close to completion and it is set for 2019 dedication and opening.